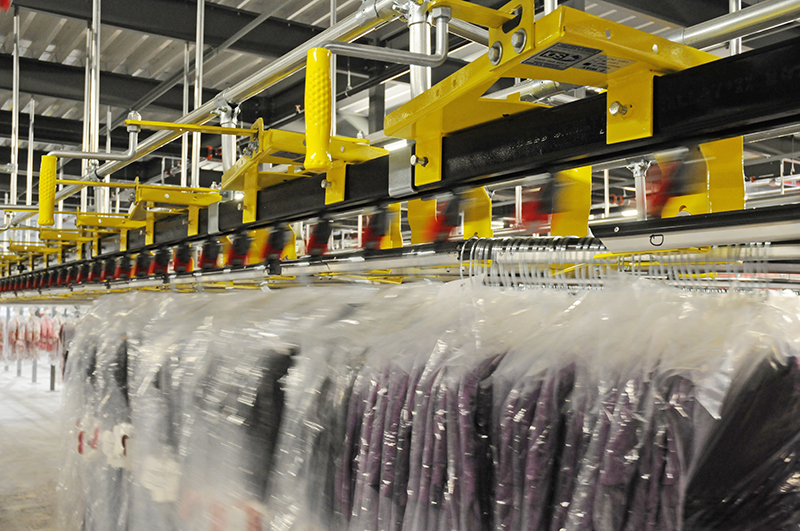 SDI’s GOH sorter system is the industry standard in high speed unit distribution of hanging garments. Its design can be configured for installation in multi-level or single-level operations with equal effectiveness. Induction to the sorter is achieved manually or automatically by adding a mechanical device that synchronizes a screw conveyor with the hooks, which delivers the hangers to the hooks as they pass through the induction area. 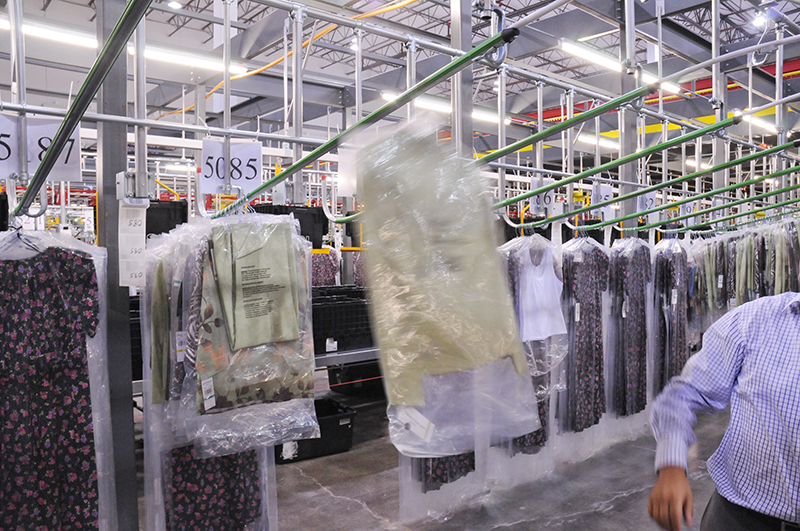 The induction process can also be integrated with an automatic trolley stripper. The GOH Sorter has a variable speed controller, allowing the operations to optimize the travel speed of the garments, as well as the induction rate.